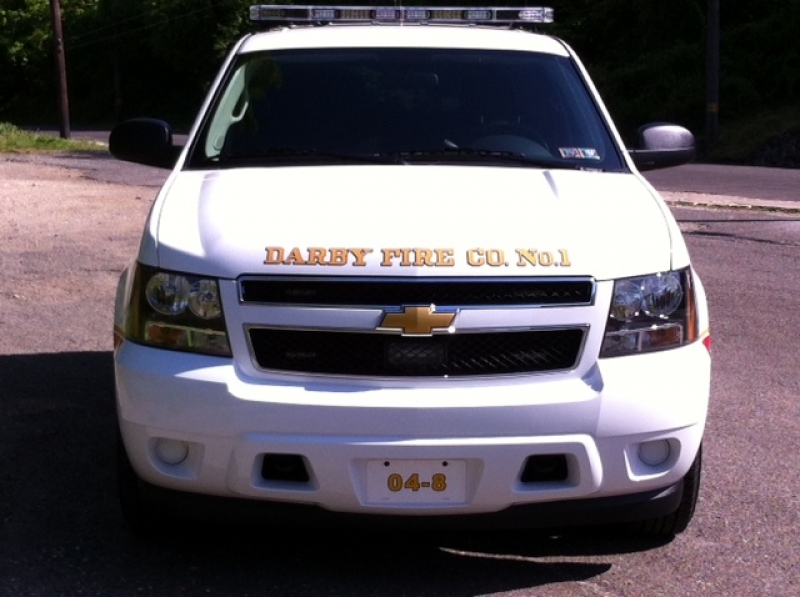 Darby Fire Company # 1 is proud to place in service its 2013 Chevy Tahoe SSV. 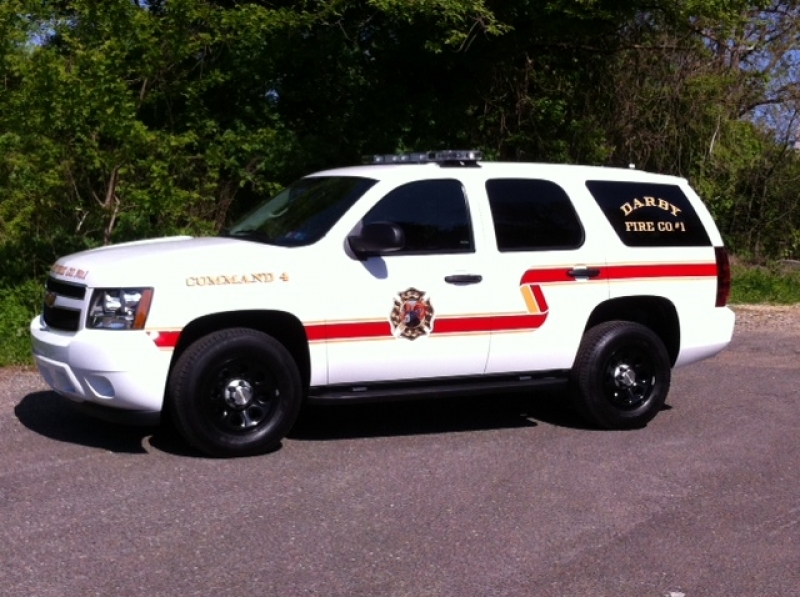 The Tahoe was purchased at Hondru Auto Group in Elizabethtown Pa. Command 04 will serve the officers and members in many different capacities such as a Utility for pulling our trailer with The Ram and Shiffler and as a fire ground command vehicle. 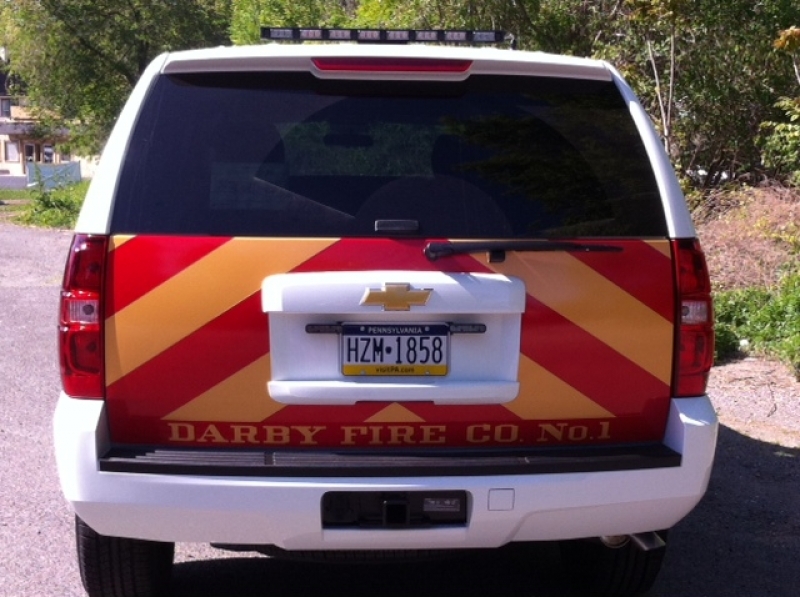 Darby Fire Company #1 would like to thank 95 signs for the graphics, Pete Bochanski for the lighting and Jerry DePompeo for the construction of the command box that will be put in the back of the vehicle.